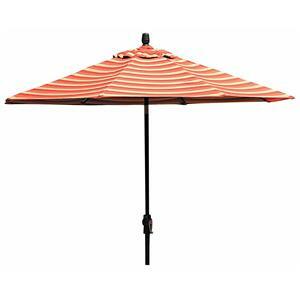 This wide, market umbrella provides abundant shade for all your outdoor picnics and summertime gatherings. The fabric covering this umbrella has been carefully UV tested for years of fade-free use, so you needn't worry about rain or sun ruining your day. Umbrella equipped with metal crank, automatic tilt function, and sturdy 50 pound base. A thoughtful and stylish choice for your outdoor decor, this cast-iron dining table doesn't rust or absorb heat as much as other metals. 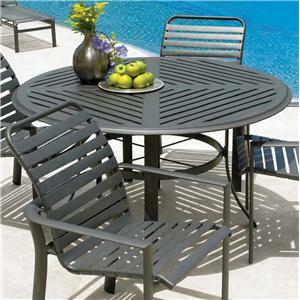 The solid aluminum top is durable and causes your table to be sturdy so it won't blow away or damage. This table is cast with a pierced, ornate fretwork design for a stunning look. Umbrella hole also included. A thoughtful and stylish choice for your outdoor decor, this cast-iron dining table doesn't rust or absorb heat as much as other metals. 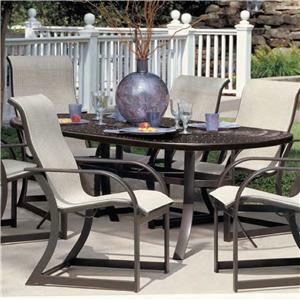 The solid aluminum top is durable and causes your table to be sturdy so it won't blow away or damage. This table is cast with a pierced-slat design for a stunning look. Umbrella hole also included. 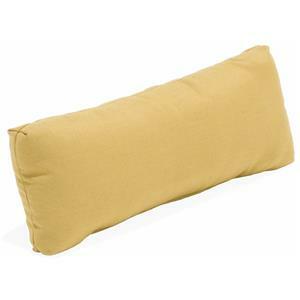 Add a Lumbar Pillow to a chair, sofa or chaise to add extra comfort and support. 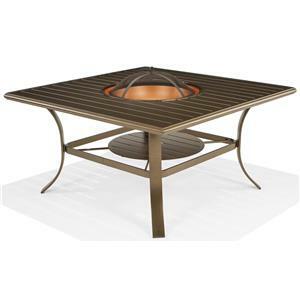 Enjoy and outdoor fire with this 48" square fire pit. This wood burning fire pit can double as a coffee table with a lid to cover the center. The fire pit includes a firebowl, screen, grate and wand. Relax in contemporary comfort while you take in a perfect sunset. 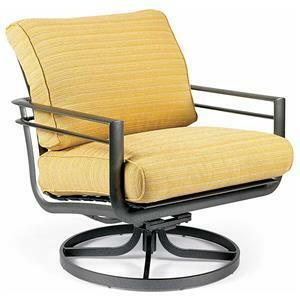 This lounge swivel rocker features two removable seat cushions and a liner metal frame for a sleek contemporary look. 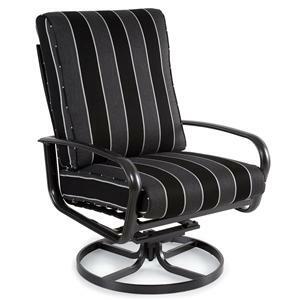 The Swivel Tilt Lounge Chair has function and style completing your outdoor living space. Relax with the ease of the tilt and swivel around finding the perfect position. Add the chair to a lounge area or pull it up to the dining table for multi-functional use. The sleek style of the metal base is complemented with a thick cushion providing hours of comfort. A contemporary take on southern charm, this stationary lounge chair promises comfort and style as you sip a drink in the sun. 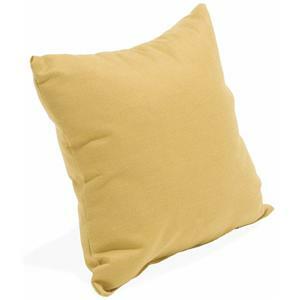 Create an inviting environment by adding the 18" Square Pillow to your outdoor furniture. 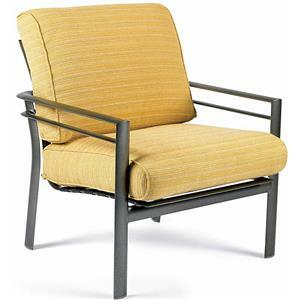 A sling seat chair is a superb choice for your deck or patio, because woven vinyl fabric resists mildew and dries quickly. The ergonomically-shaped vinyl bucket seat is framed with decoratively scrolled, multi-dimensional aluminum arms for a chic and timeless look. 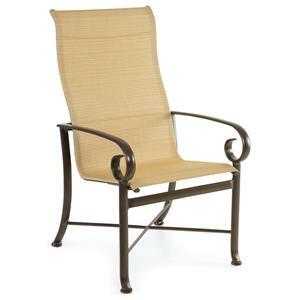 Chair comes standard in sand-colored fabric and metal in a dark, matte finish, although alternate colors are available by special order.